WordPress 4.4, nicknamed “Clifford” after American jazz trumpeter Clifford Brown, is now available! It is available for download or you can upgrade directly in your dashboard. Clifford features updates focused on improving the display of content and images, including responsive images, oEmbed for WordPress, and the new Twenty Sixteen default theme. This update also includes the scaffolding of the WP REST API. 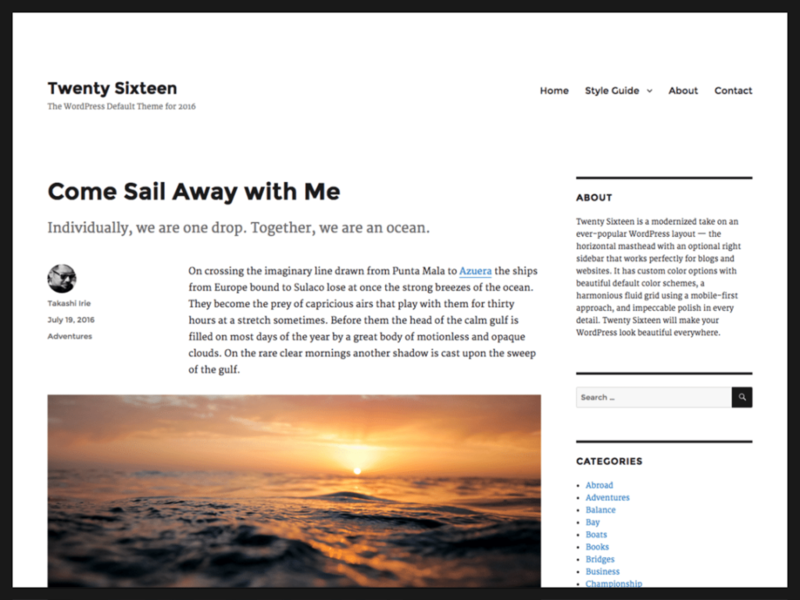 Twenty Sixteen is a contemporary take on the classic blog layout. It takes a mobile-first and totally responsive approach, and features a flexible header with beautiful default color schemes. WordPress 4.4 takes a responsive design approach, scaling and resizing images automatically based on screen size. You can now embed your WordPress posts on other sites by dropping a post URL directly into the editor. The embed preview will immediately show the details of the post, including title, description, and featured image. In addition, WordPress 4.4 now supports five new oEmbed providers: ReverbNation, Speaker Deck, Reddit Comments, VideoPress, and Cloudup. The most anticipated update in 4.4 is the inclusion of the REST API infrastructure. This is just the first part of a two-part update. The inclusion of endpoints is next and is slated for an upcoming release. You can read all updates here. The update was led by Scott Taylor and features more than 2,000 commits made by more than 400 contributors. The next update, WordPress 4.5, will be led by Mike Schroder!